The San Pedro Police Department is proud to announce that just before the Easter holidays six new constables joined the San Pedro Police Formation. The six officers include special branch officers and regular relief duty/patrol officers. The San Pedro Sun properly introduces two of the six new officers to our readers in this week’s issue. Woman Police Constable (WPC) number 1482, Kadizha Jones, is a recent graduate of the Belize Police Academy and her first post is relief duty/patrol officer. Immediately after completing her training, WPC Jones was sent to her first duty to the San Pedro Police Formation. The high school graduate of San Pedro High School said that “The Police Department is not here to shun people. We are here to serve everyone; we are here to offer a service to the community and please feel free to come in and see us if you have a concern." L to R – PC 1332 Yannick Wade, WPC 1482 Kadizha Jones and OC Superintendent Luis Castellanos. 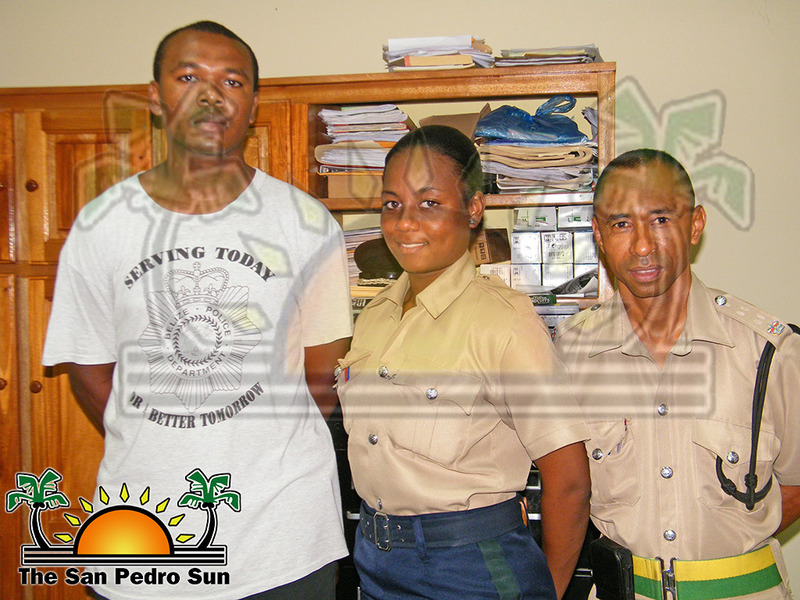 Police Constable (PC) number 1332 Yannick Wade has been three years with the Belize Police Department. He was transferred to San Pedro Town after serving as a Crimes Investigating Officer at Belize City Criminal Investigation Branch (CIB). In Belize City, PC Wade served in the community policing unit. “I hope to work very closely with the residents of San Pedro Town in making the island a better place. I hope to have a good communication between the community and police,” said WPC Wade. According to the Officer in Charge of the San Pedro Police Formation Superintendent Luis Castellanos, the officers will be rotated as relief officers and patrol officers depending on the needs of the island from time to time.